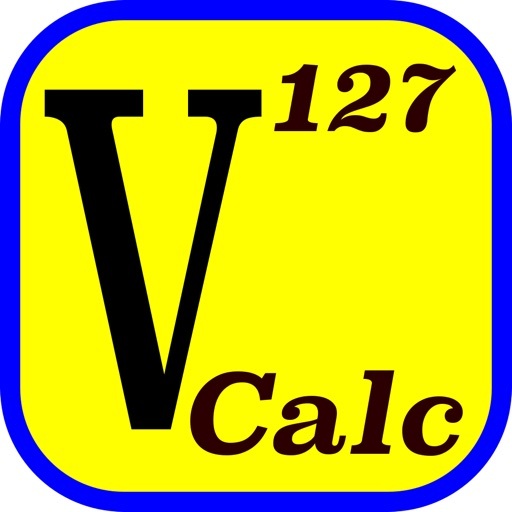 V-Calc is a textbook-display programmable scientific calculator for iPhone that is designed to solve real problems in engineering and science. • Equations are displayed in their natural form, as they would appear in a textbook. 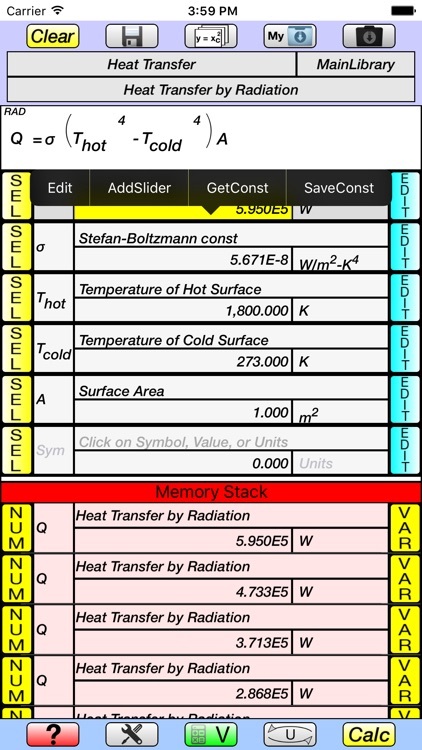 • Easily create equation and constant libraries. • Variables, units, and constants can be created and used in equations, with no limit on the number of each of these. 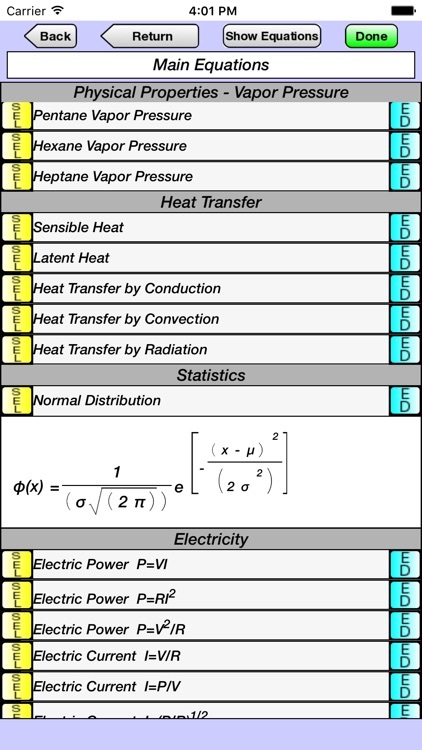 • 59 Categories of Units. • User-created units, constants, and explicit equations can be saved to libraries under user-defined categories. • Complete English and Greek keypads, both with small and large caps, for creating variable and constant symbols and units. 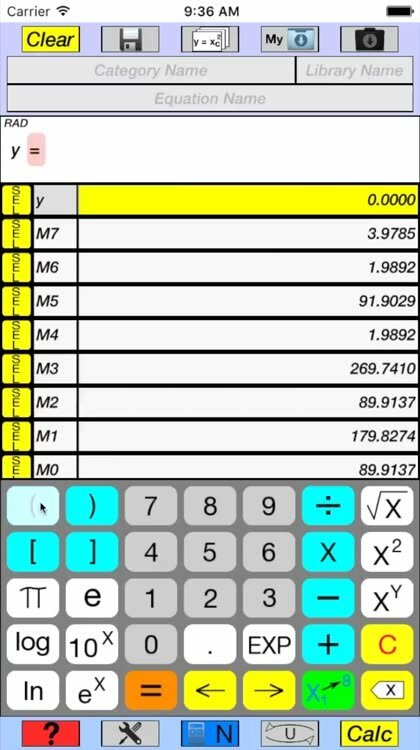 • Trigonometric keypad with inverse and hyperbolic functions. 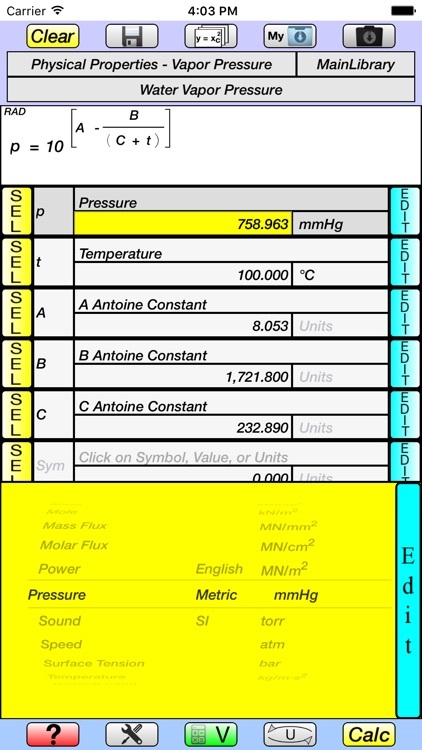 • Variable Mode allows the creation of a variable table with symbols, descriptions, units, and values, which are then readily entered along with numbers, operators, and functions to create, save, and execute an equation in textbook-display format. Alternatively, equations can be retrieved from one of the categories in the equation library. 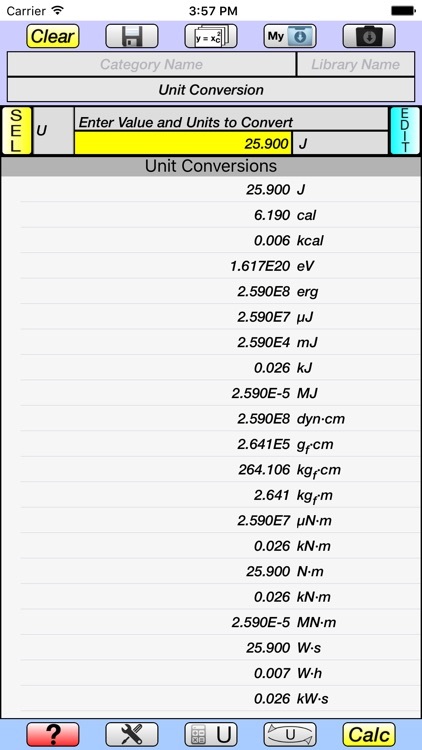 The result of the calculation is automatically converted to all units in the same category and display in a table. 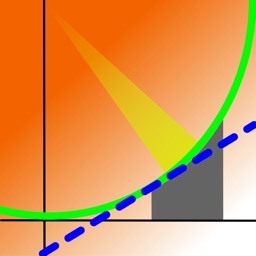 • Unit Conversion Mode allows unit conversions to be made directly simply by entering a number and its units. 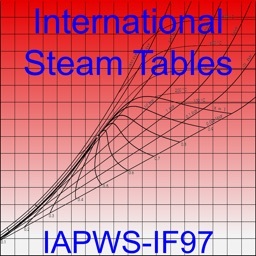 The result is displayed in a table as described for Variable Mode. 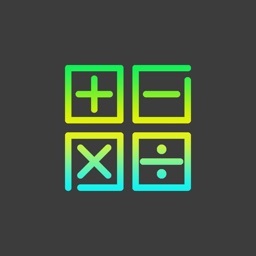 • Tutorials provide demonstration of the calculator’s capabilities by programmatically stepping through the creation, execution, and saving of several different equations. 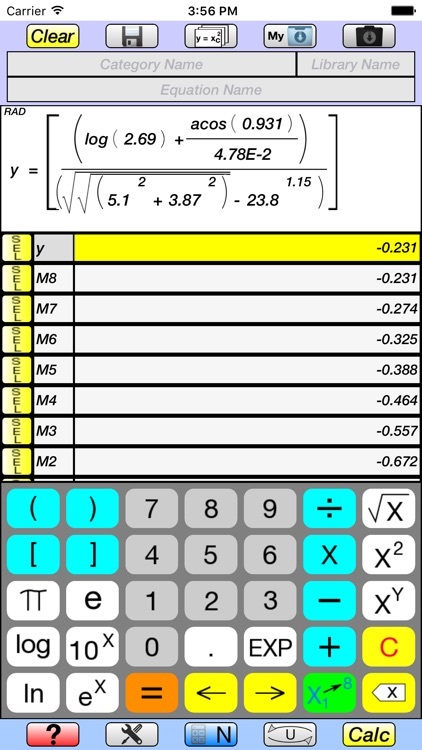 • Idle timer is disabled so that screen does not dim and calculator is available continuously until deselected by user.